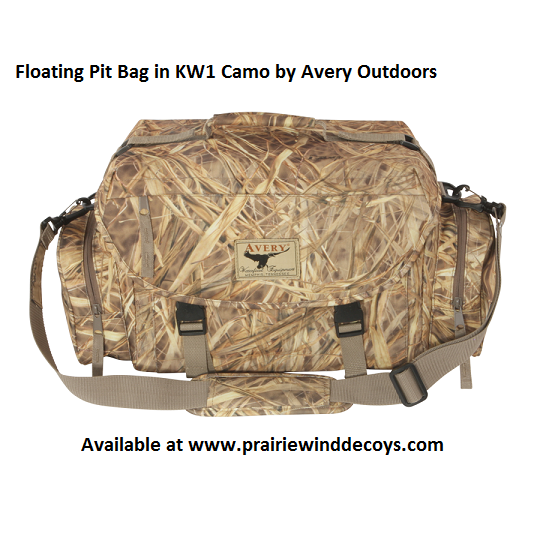 Choose Max 5 or KW1 Camo This is a beautiful big waterfowling bag. 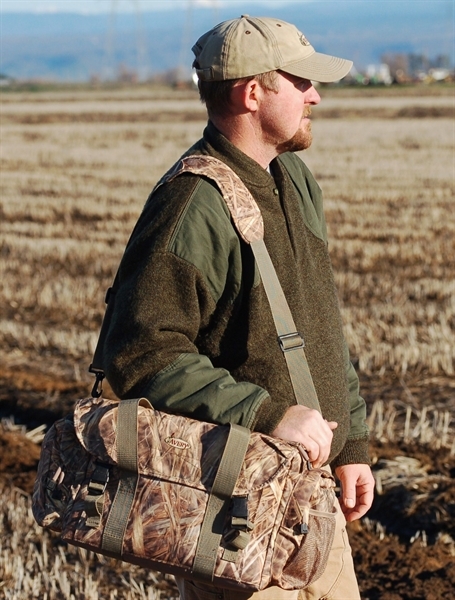 This Floating Pit Bag by Avery Outdoors is one of the biggest bags on the market. 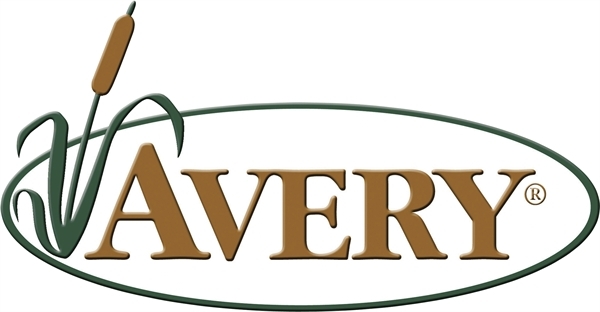 Identical in design and features to Avery Floating Blind Bag only 30% larger! At 20" wide x 11" tall x 11" deep, this brute of a bag is the final answer for hunters who need more storage space in the field. The inner liner is radio-frequency sealed for waterproof protection from the bottom, and 5 walls of closed-cell foam make this bag the largest floating gear bag on the market. 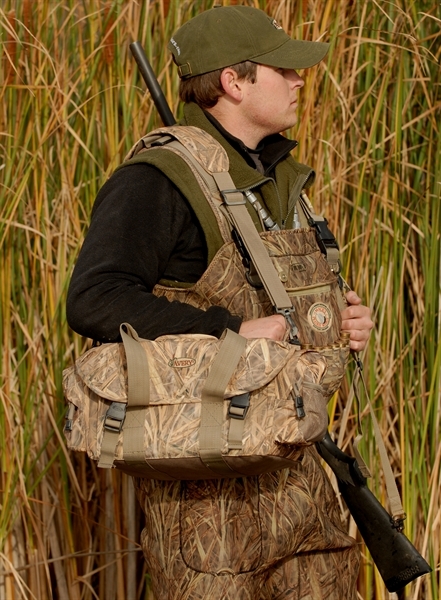 The Floating Pit Bag features Avery's exclusive ABT Shoulder Pad, Shell Grabber flap and elastic TopCinch. 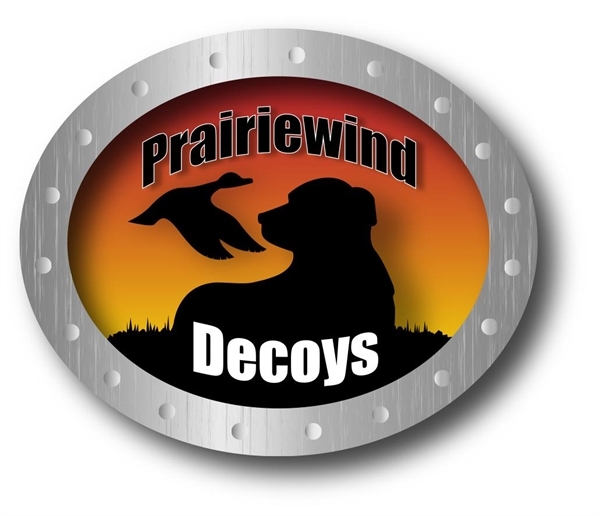 This bag is perfect for all-day duck and goose hunters, dog trainers, guides, outfitters and any other hunters who spend long days in the field. 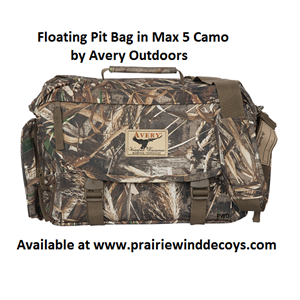 The Avery Pit Bag will float up to 19 boxes of 3" magnum 12-gauge shotgun shells. This Floating Pit Bag by Avery Outdoors is a quality well built bag. Limitied Quantiies as KW1 has been discontinued by Avery for some unknown reason!